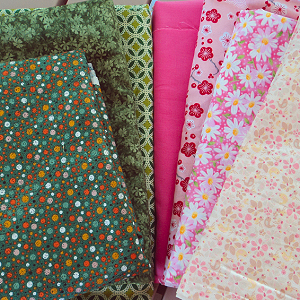 I am no longer taking commissions for quilts at this time. Please check back in the future for updates. Thank you for your kind comments and interest! 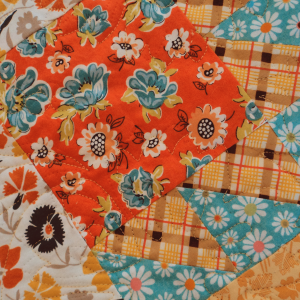 Quilt block patterns are USA vintage designs from 1910-1939! 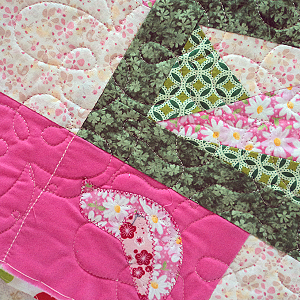 This beautiful quilt is taking form. Only 16 more blocks to go! This art piece will have thick red Kaufmann flannel backing for soft comfort next to your skin. The top stitching will be in white. 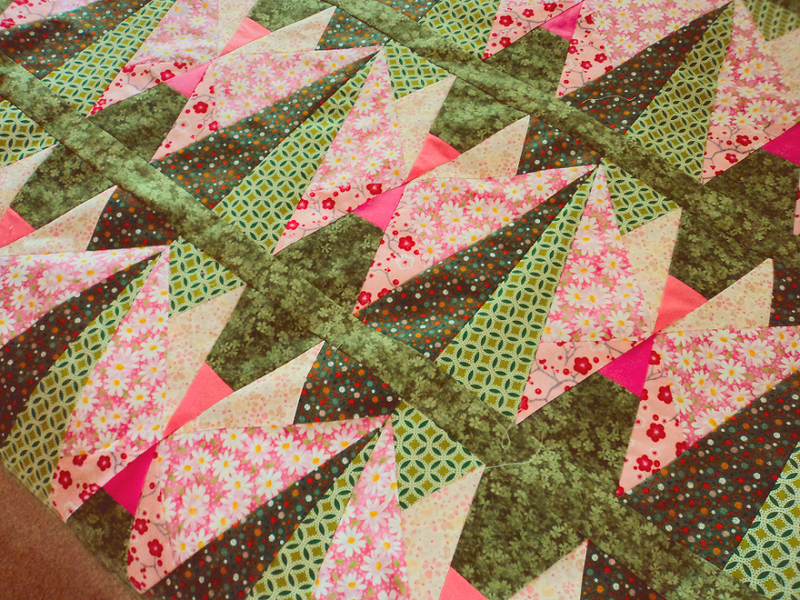 A stunning new quilt is underway. 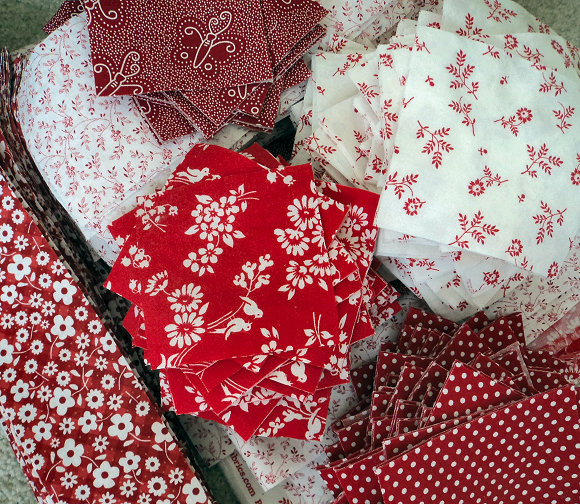 This beauty will be constructed of red and white print 100% cotton fabrics. 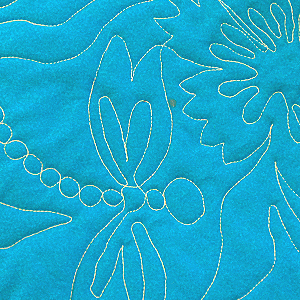 The backing will be solid red with white quilt stitching. 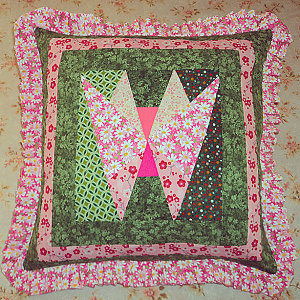 If interested in this piece, please email me or sign up for our newsletter. My web only announcements often contain specials offered only to my e-list supporters. 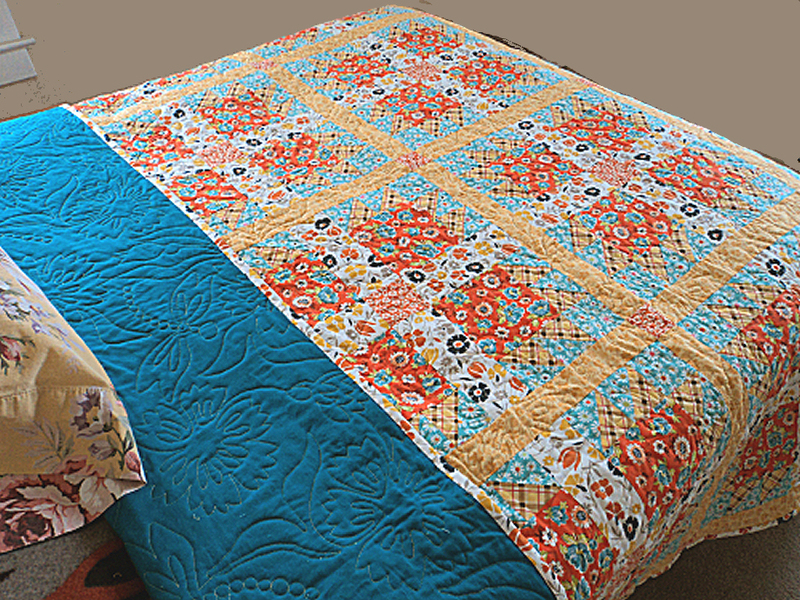 A beautiful 100% cotton quilt 86" x 86"
Fits a full/queen bed beautifully. 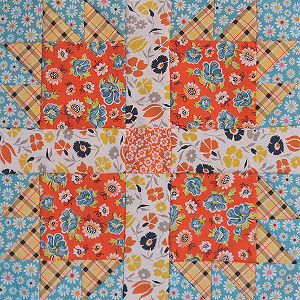 Sign Up for my newsletter to be notified when other quilts come available. 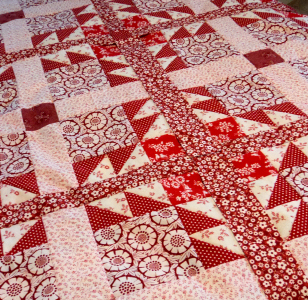 A beautiful 100% cotton quilt 80" x 80"